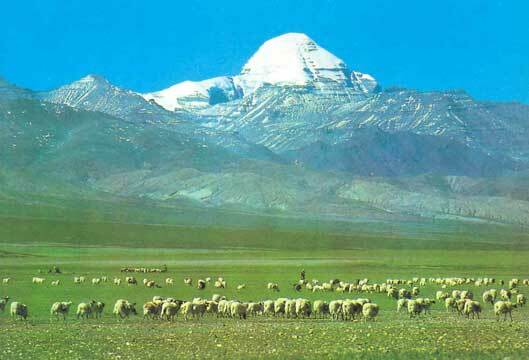 A wonderful introduction to the splendour of the range of classic Himalayan culture, people and landscape. Driving through the Tibetan plateau you see the lushness of the foothills as well as the austerity of the high altitude desert. 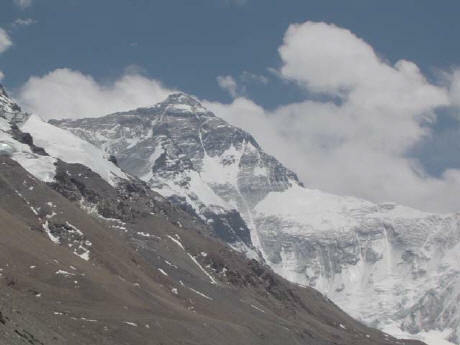 On the drive from Kathmandu to Lhasa you will be struck by the unremitting desert where vast open skies frame dramatic massifs of ice and stone against brown shot through with occasional green barley and blue water. 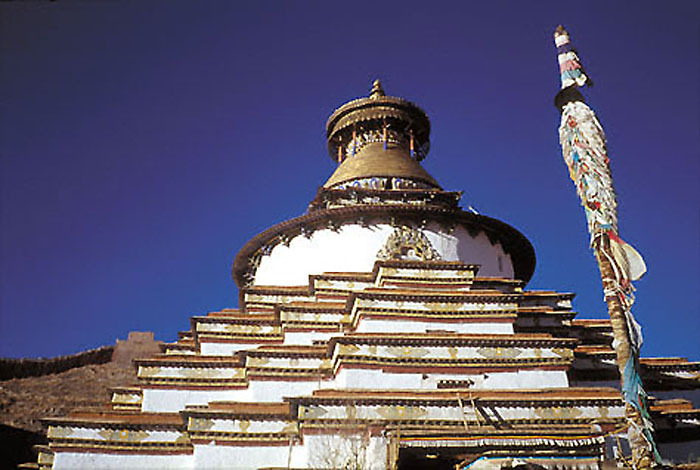 There are temples and palace squares with art rich and varied beyond all imagination, and monasteries where the air, redolent with the odours of butter lamps and juniper incense, carries through the wind centuries of tradition. The fluttering prayer flags everywhere are the most obvious expression of the spirituality and faith that permeates every aspect of the lives of Tibetan Buddhists. 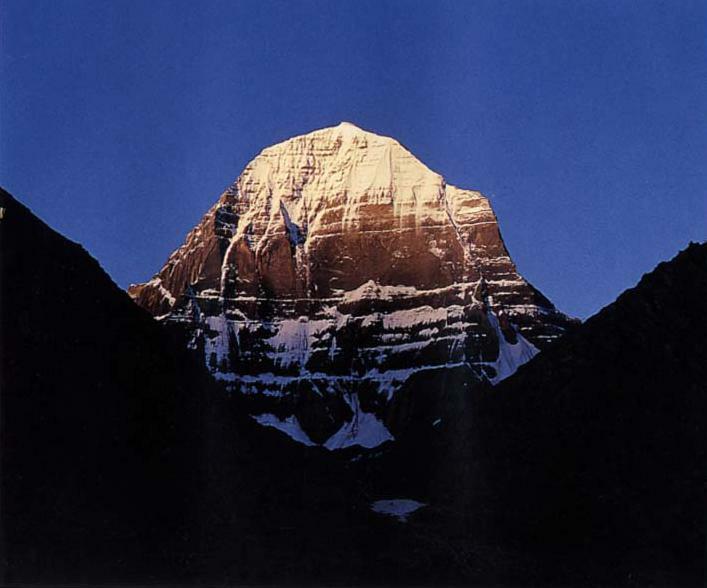 The views of 8,000 m peaks like Everest, Xixapangma, and Cho Oyu reinforce the awe-inspiring powers of the natural world. In Nepal, the cosmopolitan hisotyr of the Newars of Kathmandu Valley comes alive in the sophisticated palace squares. 06. Visit of Mindroling htl Tsetang.Night at htl. 07. Lhasa- visite a Jokhang temple,Barkhor Bazaar, .Night at htl. 08. 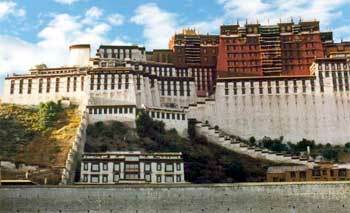 Visit Potala palace,Drepung Monastery Night at htl. 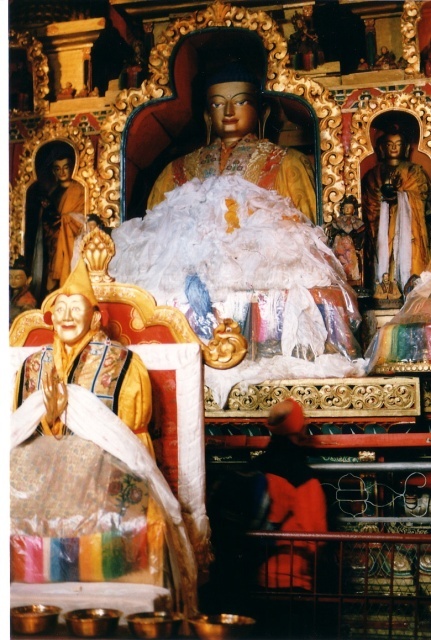 09 Visit of Sera Monastery and arounds htl. 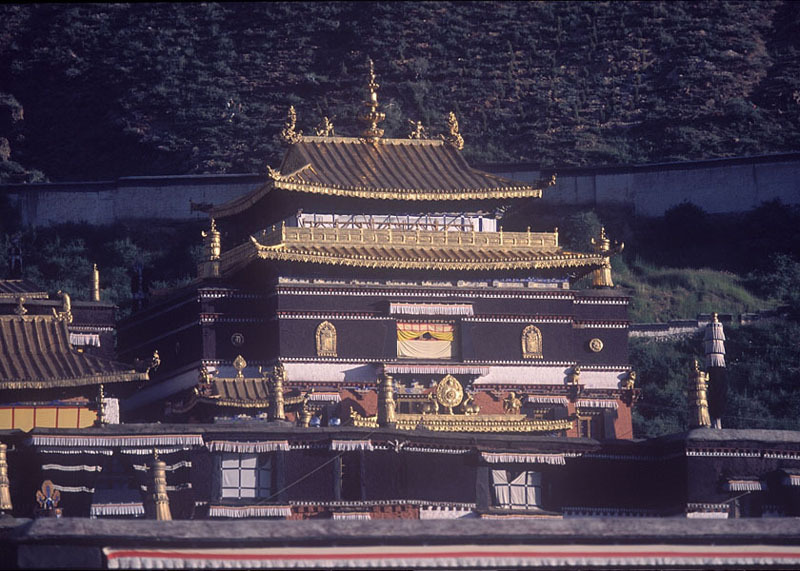 10 Visit of monastery Ganden. Night at htl. 12. 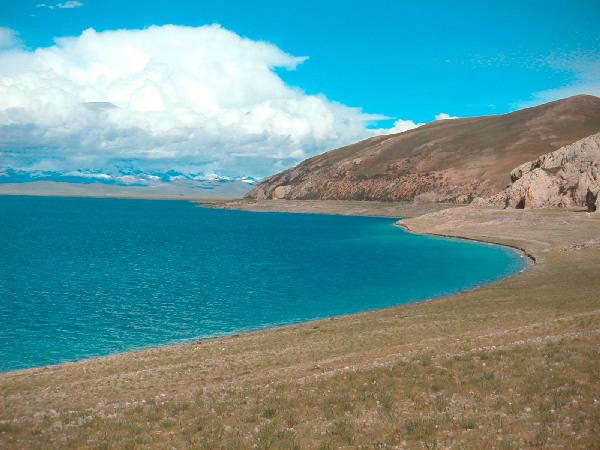 Bird Sanctuary to Lake Namtso and Night at htl. 17. Zhangmu/Ktm(by minibus)-night at Htl..